B&W outdoor cases are easily stackable, watertight, dustproof, airtight, shock resistant, chemical resistant and corrosion proof. Type 1000 provides space for a camera with a lens or a small digital camera. This high-quality case will keep your camera secure with its custom machined hard foam insert, which has been specially designed to house the GoPro and a variety of accessories. During travel or storage, this hard case will protect your camera, lenses and accessories and keep them free from scratches, dust and damage. B&W International is part of Germany’s premier specialist case manufacturer and was developed for use in the toughest of situations and tested under extreme conditions. 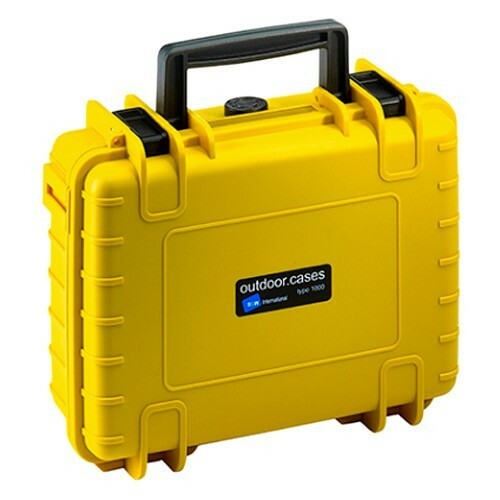 These cases were made to withstand both extreme cold and heat from -40ºC up to +80ºC, are water and dustproof (IP67 certified), crackproof and shock resistant.